RipTide Crios by Innokin is an exquisite pen style starter kit with rubberized finish body which is soft to touch. It comes with powerful 3000mAh internal rechargeable RipTide battery and 2ml/4ml Crios Tank with colorful seal rings. RipTide Battery supports constant fixed wattage output with a colorful fire button and convenient micro USB charging. While Crios Tank features easy top filling, adjustable bottom airflow and unique 0.25ohm coil head which is perfectly suit for direct to lung (DTL) vaping. 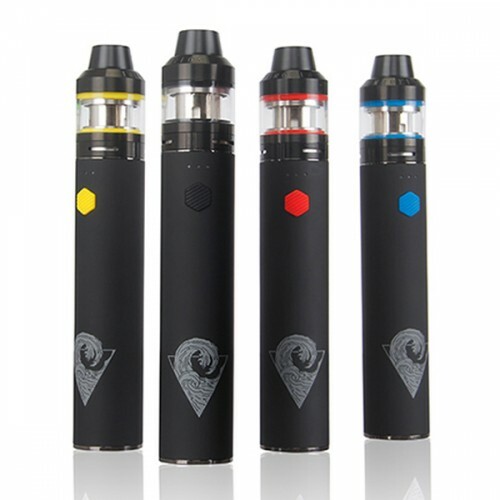 Just get one RipTide Crios Starter Kit to enjoy simple but amazing vaping! 6 colors. Please let us know which colour when ordering online.